Earlier this week, Chrysler announced that they will officially be investing $266 million into its Kokomo Transmission plants, with plans to expand the production of eight-speed transmissions for the Jeep Grand Cherokee, Chrylser 300, Dodge Charger, Dodge Challenger, Dodge Durango, and Ram 1500. According to Automotive News, this will also have an impact on the Jeep Wrangler, which is scheduled to make the switch from a five-speed automatic during its scheduled re-design year of 2018. This move is primarily being made to help deliver a 9 percent better fuel economy to the popular Jeep model. Currently, there are approximately 7,200 workers at Chrysler’s Kokomo facilities, a 3.1 million square foot location that also received a $1.5 billion dollar overhaul from Chrysler back in 2012. 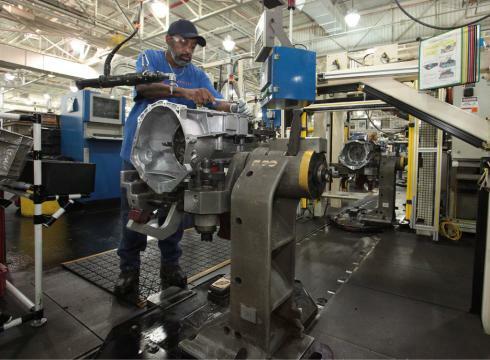 That investment certainly paid off as Chrysler continues to thrive and the plant was itself was even awarded a bronze designation for its implementation of a World Class Manufacturing system. This entry was posted in Chrysler, Culture and tagged Chrysler, investment, kokomo. Bookmark the permalink.